Hello everyone! We introduce modules! It's pretty straightforward. These are the modules that damage the enemy ship. They select their own target within their range and attack it. They use your resources to shoot (Energy and/or Material). If they're out of resource they use, they stop attacking. This module will shoot faster but each bullet inflicts less damage than other modules and usually has low range. It uses Material to shoot and it has reduced damage against Armors. This module's bullet doesn't have travel time so there is no delay between damage and shoot. It uses Energy to shoot and it has reduced damage against Shields. This module usually has the longest range and damage. Missiles can be destroyed by The Point Defense Module thus makes it unreliable in some conditions. It also uses Material to shoot. This module gives armor to connected ship. Armor adds to ship's health so it increases the durability of the ship. But it is especially effective against projectile damage. This module gives shield to connected ship. But it also protects the surrounding area from incoming enemy attacks. It's more effective against laser module. Point defense works differently than the other two. It completely blocks missiles but ignores other damages. It also attacks nearby mini-fighter ships (Spawns from hangar modules). It has to wait for cooldown after each shot. These modules give their corresponding resources with each jump (Might change). This feature is not implemented yet. Sorry for no visuals. 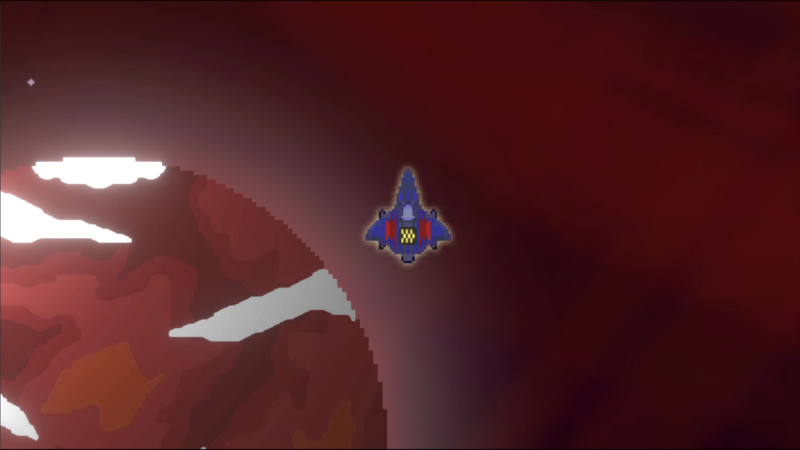 It will spawn mini-fighters that attack ships at close range. These modules you saw are only default ones. We'll create different versions of the same module (fast missile etc). The game will randomly select modules for each module slot in each ship and change its stats a little. You'll have a choice to select which one of these randomly generated ships. Next week, we'll talk about ship types that these modules will fit into. Follow the game or follow us to stay tuned with the game's progress!